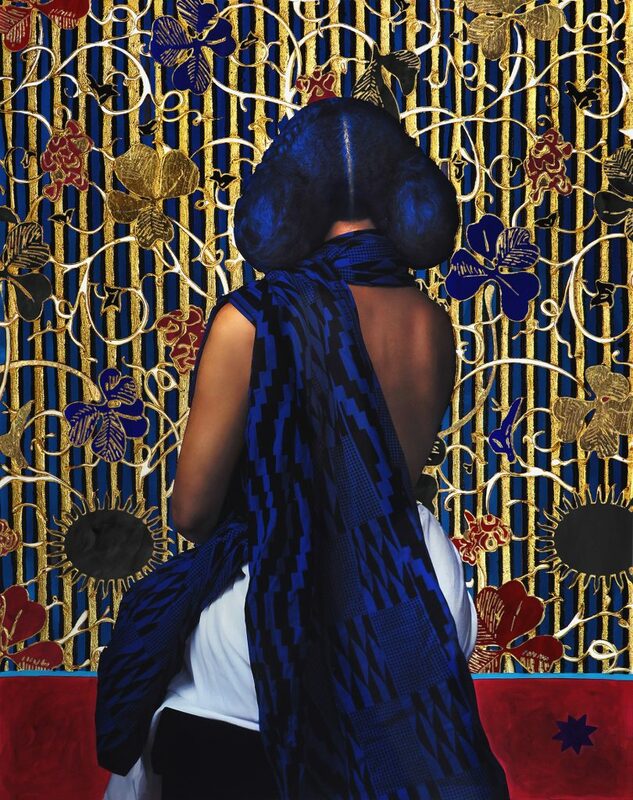 NEW ORLEANS, LA – The New Orleans Museum of Art (NOMA) presents Lina Iris Viktor: A Haven. A Hell. A Dream Deferred, the first major museum presentation of the work of Lina Iris Viktor. On view October 5, 2018, through January 6, 2019, Viktor has created a new body of work to be presented in NOMA’s Great Hall that explores the factual and fantastical narratives surrounding America’s involvement in the founding of the West African nation of Liberia. Founded in 1822 by the American Colonization Society, Liberia was originally conceived of as a conduit for the resettlement of free-born and formerly enslaved black Americans in Africa, in large part due to fear of an uprising upon the abolition of slavery. Throughout A Haven. A Hell. 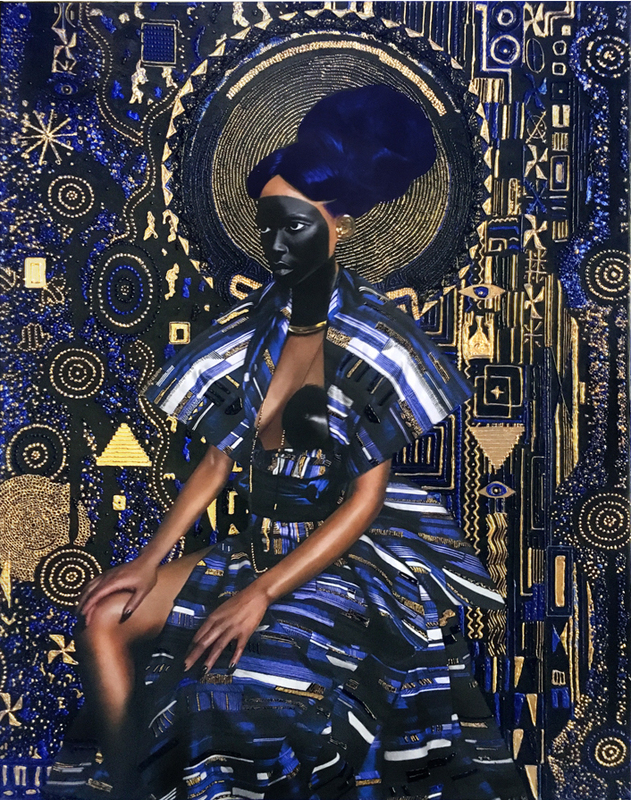 A Dream Deferred, Viktor reimagines Liberia’s colonial past through the lens of the “Libyan Sibyl” figure of classical antiquity, who was said to predict ill-fated futures and would later re-emerge as a common motif in the art and literature of the American abolitionist movement. 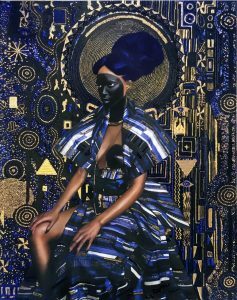 Viktor, who was raised in London to Liberian parents, is widely recognized for her richly gilded paintings, works on paper and installations that interweave references to modern and traditional West African textile culture, cosmic abstractions and evocative figurative imagery. Lina Iris Viktor: A Haven. A Hell. 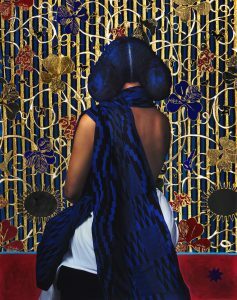 A Dream Deferred., created for the Great Hall, is organized by the New Orleans Museum of Art and is sponsored by Reuben O. Charles II, Pulane Kingston, Alida and Christopher Latham, and Jim and Christina Lockwood. Additional support provided by the Mariane Ibrahim Gallery. The exhibition will be accompanied by a fully-illustrated catalogue featuring contributions by Allison Young, Andrew W. Mellon Fellow of Modern and Contemporary Art, Renée Mussai, Curator and Head of Archive at Autograph ABP, London, and writer Emmanuel Iduma. Exhibition-related programs will include noontime talks led by Lina Iris Viktor and Allison Young, a West African film series, and a special event featuring Lina Iris Viktor in conversation with Renée Mussai, followed by the exhibition catalog launch and signing. The New Orleans Museum of Art, founded in 1910 by Isaac Delgado, houses nearly 40,000 art objects encompassing 5,000 years of world art. Works from the permanent collection, along with continuously changing special exhibitions, are on view in the museum’s 46 galleries Fridays from 10 AM to 9 PM; Tuesdays, Wednesdays, and Thursdays from 10 AM to 6 PM; Saturdays from 10 AM to 5 PM and Sundays from 11 AM to 5 PM. NOMA offers docent-guided tours at 1 PM every Tuesday – Sunday. The adjoining Sydney and Walda Besthoff Sculpture Garden features work by over 60 artists, including several of the 20th century’s master sculptors. The Sculpture Garden is open seven days a week: 9 AM to 6 PM. The New Orleans Museum of Art and the Besthoff Sculpture Garden are fully accessible to handicapped visitors and wheelchairs are available from the front desk. For more information about NOMA, call (504) 658-4100 or visit www.noma.org. Museum admission is free on Wednesdays for Louisiana residents, courtesy of The Helis Foundation. Teenagers (ages 13-19) receive free admission every day through the end of the year, courtesy of The Helis Foundation.